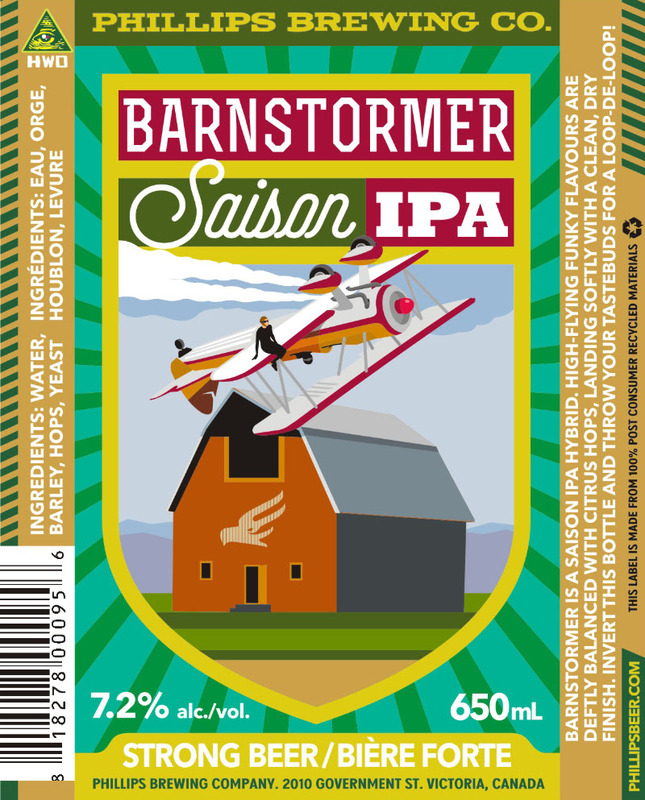 July 21st, 2015: The Barnstormer Saison IPA is a brand new Phillips Brewing seasonal offering that just left their hangar! Pouring a golden straw colour with a marshmallow white head, fruity esters on the nose lead to flavours of banana and cotton candy. Invert the bottle and throw your tastebuds for a loop-de-loop! The Barnstormer clocks in at 7.2% and is available from private, craft-focused liquor stores for a limited time only. 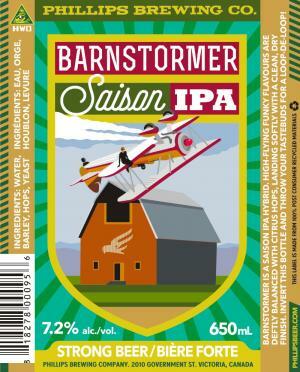 The Phillips Brewing Company will be hosting a special draft tasting of the Barnstormer Saison IPA at their Victoria based tasting room on Thursday July 23rd from 4-6.